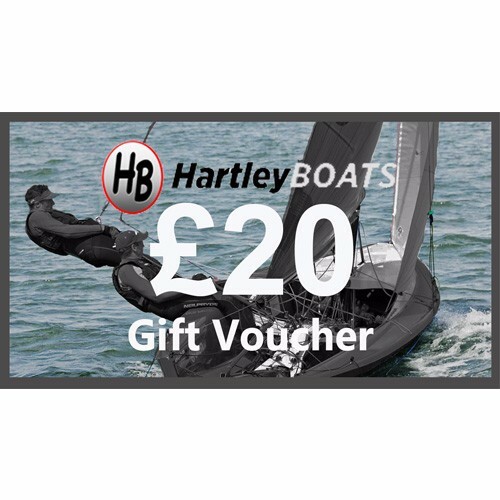 Hartley Boats gift vouchers are the perfect gift for anyone who loves sailing! These vouchers are available to be reedemed at Hartley Boats Chandlery. In order to redeem your voucher call, email or come and see us in store. If you would like a personal message to be put onto your gift voucher please place this in special instructions. 1. Gift vouchers can ONLY be redeemed at Hartley Boats Chandlery. 2. Vouchers are not transferable or exchangeable for cash. 3. If any product purchased with a Gift Voucher is returned for an exchange or refund, any money will automatically be refunded as Gift Vouchers. 4. No responsibility will be accepted for lost, stolen or damaged Gift Vouchers and such vouchers shall not be refunded or replaced. 5. Gift Vouchers are valid for twelve months from the date of issue.